In the wake of rising case of Swine flu across the State, the Rajasthan Government has launched a special screening drive to contain the disease. A total of 49 people have died so far while 1,233 cases were found positive due to the viral disease. Responding to BJP MLA Kalicharan Saraf during the Zero Hour in the Assembly, State Health Minister Raghu Sharma said that an intense campaign is being launched in the State between January 21 and 23 for the screening of the flu. “Of the total 5,367 samples collected this year, 1,233 were found positive and 49 deaths recorded so far,” he informed the House. He said it was a seasonal disease and the Government was taking all measures to contain the spread of the flu. Sharma said that regular meetings of the task force were being held and the department was monitoring the situation. 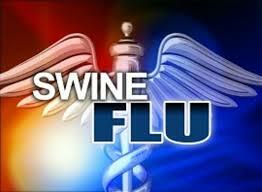 The symptoms are same as the seasonal flu, also known as the viral fever. This includes a cough, sore throat, and body ache.